Move Over Affleck - Has The Next Batman Been Found? The next Batman? Ben Affleck's successor may have already been found. Rising Hollywood starTyler Hoechlin has dropped his biggest hint yet that he was in the running for a major role in Batman vs Superman and refused to rule out one day becoming the Caped Crusader. Hoechlin has garnered rave reviews for his performance in Richard Linklater’s new film Everybody Wants Some! !, having previously caught the attentions of movie producers following a four-season stint on Teen Wolf. Prior to this role though, Hoechlin had been linked with Zack Snyder’s Batman vs Superman with reports suggesting he screen tested alongside Henry Cavill for a part in the film. 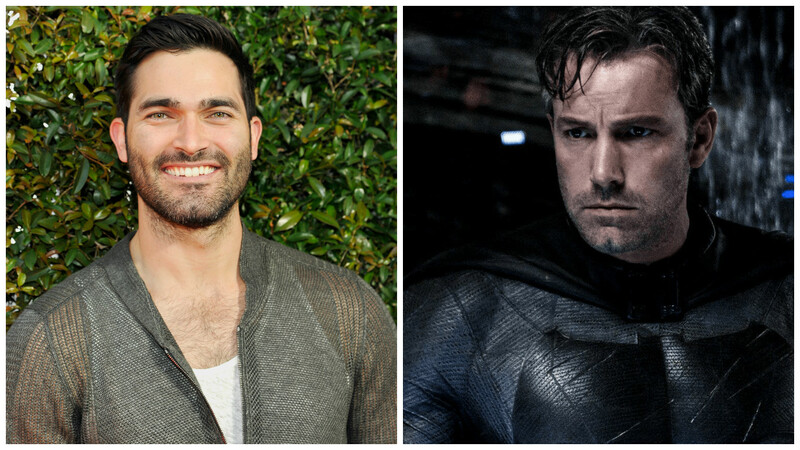 Though the 28-year-old ultimately lost out to Ben Affleck, with Snyder opting to cast an older version of Bruce Wayne, Hoechlin has refused to rule out one day reclaiming the role for himself. Asked during an interview with Loaded as to whether he would consider doing a superhero film in the future, Hoechlin admitted he would “absolutely” love to take on the part. “James Bond was my fantasy role for a long time when I was a kid, then someone destroyed it by explaining that I am not British and can’t do that,” he said. “I guess our version of Bond in the States is something like Batman. Hoechlin first rose to prominence as a boy after being plucked from obscurity to play the role of Tom Hanks’ son in Sam Mendes’ gangster epic Road to Perdition. Now a little older and wiser, Hoechlin will be seen next in the sequel to Fifty Shades of Grey, Fifty Shades Darker, playing the role of Boyce Fox. However, if Ben Affleck’s next Batman film proves to be a disappointment, he could just get his big chance at playing Batman. Everybody Wants Some!! is out now and comes highly recommended.